USB to DB9 Serial Converter Cable - 24 Karat Quality USB Converter that allows the consumer to connect serial devices to the USB port. Even though many computers and peripherals have changed the interface to the new USB standard, there are many expensive devices and automated systems which still use the old standard serial interfaces. 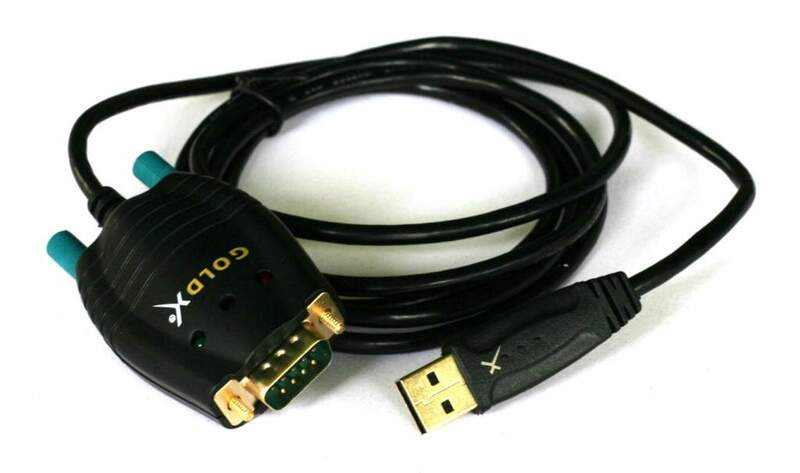 This GoldX® PlusSeries® device allows the computer to communicate with those devices when there is not a serial port native on the computer anymore. By having a USB A male connector on one end and a DB 9 serial connector on the other which emulates a serial port that is found on the back of some computers, the communications between the computer and the device is available.